If you want to save PDF file in your iPhone for offline view. This is the way to do. Normally PDF file in iPhone must connect internet for view. Maybe sometime you stay in place without any wifi and cellular network or in Airplane Mode. That makes your iphone cannot connect internet. Its will be good if have necessary PDF file can view in your iPhone anytime. Just install iBooks app from App Store on your iPhone. This app is designed for both iPhone and iPad. If you found PDF file from any websites on Safari. Just touch the screen that "Open in iBooks" tab will show up. Touch this tab for save in iBooks for offline view. If your PDF files are on the PC or any devices. Just send it by email or upload to any cloud storage such as Dropbox, iClound, Onedrive and Google drive. 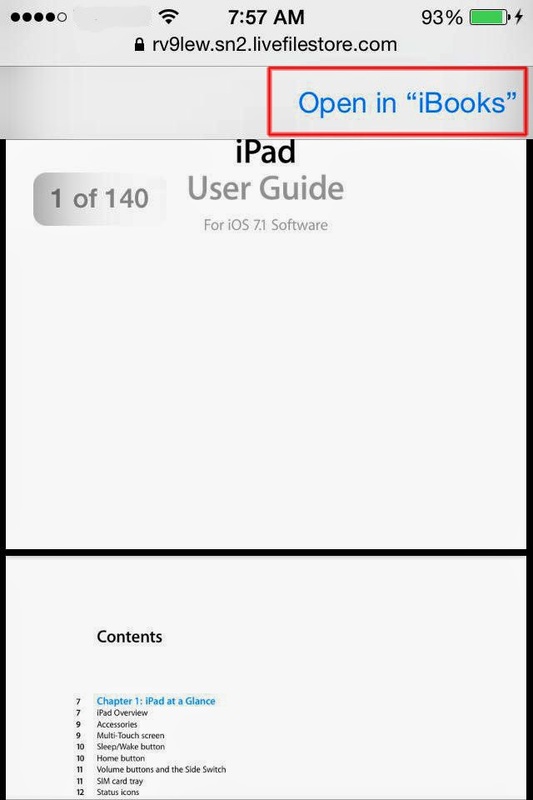 Then open PDF files on Safari Touch "Open in iBooks" tab for save in your iPhone for offline view.